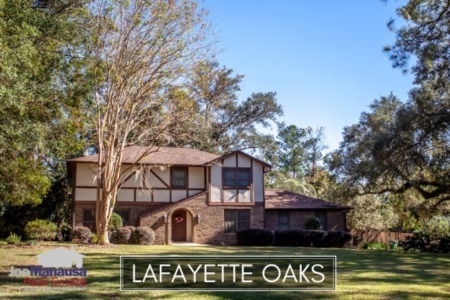 Woodgate is a highly popular neighborhood located along the Thomasville Road Corridor north of Midtown, and consequently, buyers often have to wait for new inventory to hit the market. Featuring 3, 4, and 5 bedroom homes built as far back as fifty years ago, buyers should expect to react quickly when a bargain hits the market here. In this report, we will look at average home price trends, home value trends, and home size trends in Woodgate. Additionally, we have provided a list of all closed home sales going back to 1991. For all of the real estate graphs below, we show the number of closed home sales for each year (red columns, measured on the left vertical axis), as well as an important real estate statistic that is shown in blue (measured on the right vertical axis). It is important to note that the narrative contained below is for sales through years' end for all previous years, but through the tenth day of December in 2018. The graphs and the closed sales table will be continuously updated into the future (meaning bookmark this page if you always want to know the current status of homes in Woodgate). Home prices are up nearly 15% this year, an incredible climb that was impacted by low inventory and high demand during the first half of the year. Rising mortgage interest rates has cooled demand somewhat, but don't expect to see much give in prices. Home sales activity has slowed greatly in 2018. Currently, there are just three homes for sale in Woodgate (and another one here on the corner of Noble Drive and Woodgate Way that is technically not in Woodgate), and just one of the four is under contract. Very few homes entered the market this year, thus we've seen far fewer than normal homes sold. As the value movement graphed below will show you, there remains strong demand for properly marketed homes in Woodgate. Average home values have risen nearly 14% in 2018 when compared to the 2017 average. With inventory scarce for these high-demand homes, sellers are demanding and receiving higher values. The six homes sold in 2018 went for $131 per square foot. The average home size sold in the Woodgate typically falls in a range of 1,600 to 1,900 square feet, and 2018 has been no different. The 6 home sales thus far in 2018 averaged 1,832 square feet. 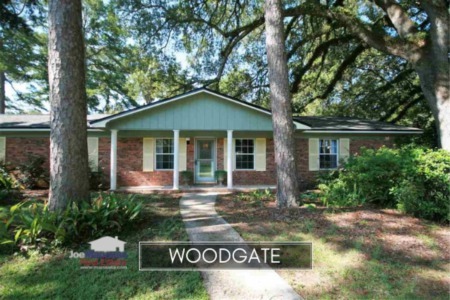 The following list shows more than 310 home sales in Woodgate since 1991. 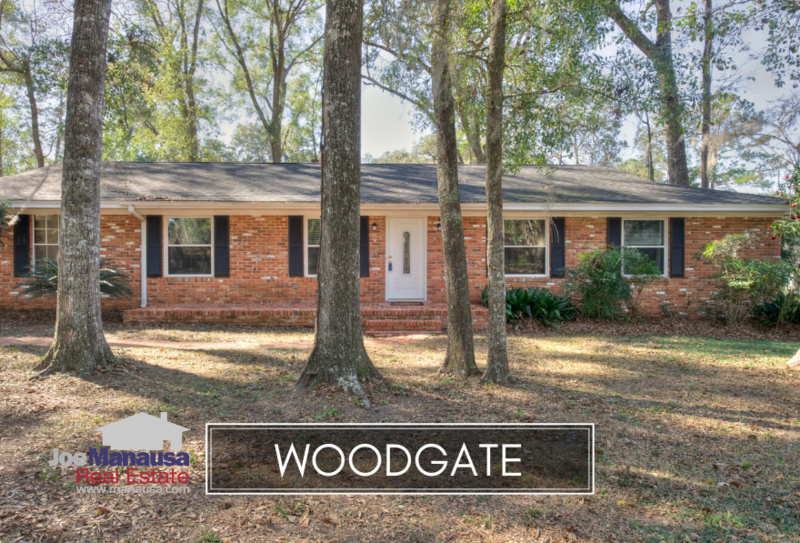 This concludes our December 2018 update on home sales in Woodgate, please give us a call at (850) 366-8917 or drop us a note if you have questions about this popular neighborhood in NE Tallahassee. Are you considering a move? We would love a chance to earn your business. Here's what people are saying about working with Joe Manausa Real Estate, you can see hundreds of real customer reviews reported on Google, Facebook and Zillow right here: http://www.manausa.com/testimonials.